BOSTON (CBS) — There’s a lot of talk these days in New England about the Patriots’ receiving woes. What else, other than a void at the receiver position, would lead the Patriots to go out and acquire Josh Gordon, after all? And as the discussion about the Patriots’ lack of receiver depth enters its sixth month, by now you’ve no doubt heard comparisons to the 2006 season (Reche Caldwell, Doug Gabriel, Chad Jackson, etc.) and the 2013 season (Aaron Dobson, Josh Boyce, Kenbrell Thompkins, etc.). Perhaps you’ve even worked to compare how this season’s depth chart compares to those seasons’ depth charts. It’s quite the exercise. With that in mind, perhaps it’s time to finally dispel a commonly held myth that seems to have a hold on everybody in this region. That myth is that the Patriots’ lack of wide receivers in 2006 cost the team a Super Bowl. I will grant you, of course, that having Caldwell and Gabriel as WR1 and WR2 is probably not an achievement in roster building. The expenditure of the 36th overall pick on Chad Jackson was a major whiff — especially considering Greg Jennings, Brandon Marshall, Jason Avant and Marques Colston were still available. And drafting Laurence Maroney at No. 21 overall didn’t exactly beef up the offense for Tom Brady in the way that Bill Belichick likely imagined. Swing. Miss. OK.
There’s no doubt about the general weakness of the skill positions on that 2006 Patriots team. That much is evident by Tom Brady throwing more than twice as many touchdowns a year later in 2007. He was clearly lacking a weapon or two (or three or four) in 2006. Nobody is disputing that in this space. However, that was not the reason that the Patriots’ season ended in anguish on the RCA Dome turf. Not at all. Let’s explore. While everybody remembers that soul-crushing loss in Indianapolis in the AFC Championship Game, they often forget how many points the Patriots put on the board that night. The Patriots scored 34 points. That’s a lot of points. That’s enough points to win a football game. 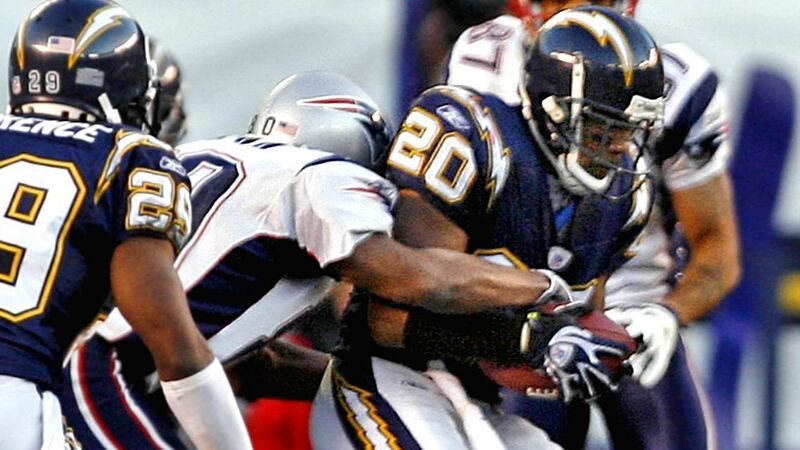 In fact, every time the 2006 Patriots had scored 30 points or more in a game six times or more that season. They went 6-0. Doubling up on that, the 2006 Patriots scored more than 20 points in a game 11 times that year. They went 11-0. Generally for the 2006 Patriots, scoring 20 was enough to win, and scoring 30 was certainly enough to win. The average margin of victory for the Patriots in those games of scoring 30 or more points? It was 26. That’s ridiculous. When the Patriots lost to the Colts in the 2006 regular season, Peyton Manning’s high-flying offense only mustered 27 points. The Patriots that night could only score 20. So when the Patriots took a 21-3 lead on an Asante Samuel pick-six midway through the second quarter, it should have been more than enough of a cushion to win. A 21-6 halftime lead should have been secure and safe. The fact that New England would put 13 more points on the board in the second half? That should have been enough to lead to a comfortable victory in Indy. The Patriots lost the 2006 AFC Championship because the defense fell apart and allowed 32 second-half points. Period. Point blank. Game over, story over. Would the Patriots’ defense have let up fewer points if the offense employed some elite wide receivers? Probably not. And a year later in 2007 when the Patriots visited Indy in the regular season, even with Randy Moss and Wes Welker, the Patriots managed to score just … 24 points. Scoring 34 points in the 2006 AFC Championship Game should have been enough offense to get the job done. Expecting or wanting more than 34 points would have been slightly insane. Everybody remembers the game itself as The Reche Caldwell Drop Game. They probably shouldn’t. Yes, the eyes popping out of the helmet were unforgettable, and the second drop was a gross one. Caldwell was uncovered and just completely beefed it when Brady hit his bread basket midway through the fourth quarter in a 28-28 game. How terrible. But … well … had he caught it, he most likely would have been tackled or forced out of bounds at least five yards from the sticks. There was no guarantee that the Patriots would have ended up getting that first down. They might have had to settle for a field goal anyway … which is what they did on this drive anyway. So while it’s impossible to know without any doubt, it is possible that the Caldwell drop in the fourth quarter cost the Patriots zero points. The other drop? That came in the end zone in the third quarter on a second down. But Brady threw a touchdown to Jabar Gaffney on the very next play. That drop cost the Patriots nothing except a handful of seconds on the clock. Sure, Caldwell wasn’t even close to being a great receiver. But his drops that night really aren’t at all why the Patriots lost that game. It either cost the Patriots four points or zero points, but the odds lean heavily toward zero. On a third-and-4 with 2:30 left in the fourth, Brady looked to his trustiest receiver: Troy Brown. The two had connected 15 million times prior to this snap. How difficult could one more be? Well, Brown motioned in to the right slot, broke to the line to gain, and then turned around. But Brady clearly wanted Brown to break into the flat, where there was plenty of room for an easy catch-and-run to gain a new set of downs and possibly drain the clock for the victory. But Brown was where Brown was, so Brady tried to squeeze in a pass. Safety Bob Sanders flew in and broke it up, on a pass that could have easily gone for a pick-six. Brady was irate, screaming at Brown and pointing to the flat. The two talked on the way to the sideline, but what was done was done. The Patriots had to punt … and the Colts then marched 80 yards for the game-winning drive. Yeah, the 2006 Patriots were not loaded at receiver by any means. But Brady and Brown not being on the same page at the season’s most critical moment? As Brady says all the time, that’s just a matter of execution. –Guard Logan Mankins scored a touchdown for the Patriots on a fumble by Tom Brady. –Center Jeff Saturday scored a touchdown for the Colts on a fumble by Dominic Rhodes. –Defensive lineman Dan Klecko caught a touchdown pass from Peyton Manning. –Peyton Manning rushed for a touchdown. Just go on YouTube and watch Mankins’ touchdown. That’s what kind of night it was in Indianapolis. OK? That’s a strange game, folks. A game where some strange things happened. Sometimes you at least have to recognize the strangeness. It wouldn’t be a Patriots loss without an officiating complaint, right? This one is legitimate, though. With 4:12 left in the third quarter and the Colts trailing by eight points, Ellis Hobbs defended Reggie Wayne up the left sideline on a second-and-7 from the Patriots’ 19-yard line. Hobbs did not make any contact with Wayne, and with his back turned to the line of scrimmage, he broke up the pass. The official threw the flag for pass interference, thereby giving the Colts a first-and-goal at the 1-yard line. Phil Simms, on the broadcast, immediately called it “face-guarding” and said it was the correct call. The Colts scored on the next play and converted the two-point conversion to tie the game. One problem: “Face-guarding,” despite being a popular term in the lexicon of football people all across the land, was not a real thing. There was no such rule. The NFL confirmed as much after the game. The league later sent Hobbs an apology. Had the penalty not been called, the Colts would have faced a third-and-7 at the 19-yard line. It’s possible that they would have scored a touchdown anyway. But, well, a bad call gifted them field position at the 1-yard line. Tough break for the Patriots. I mean. Marlon McCree. What are you doing, man? That wasn’t a real point. But it should never be forgotten. To any youth football player who might be reading: Bat down the football on fourth down, champ. Overall, it’s high time we stop blaming the lack of wide receivers for that crushing playoff loss. Maybe Belichick did a bad job of building that roster, but Brady was good enough at the time to overcome the shortcomings at receiver. Albeit aided by a pick-six and an 80-yard Ellis Hobbs kick return, the Patriots scored 34 points that night and owned an 18-point lead. Blowing that game (and the layup of a Super Bowl that came with it) rests solely on the defense, a unit that allowed a 15-point lead to evaporate in a span of 11 minutes to open the second half, and a unit that failed to hold a three-point lead with less than four minutes to play. And now back to your regularly scheduled 2018 programming.